Report: Bin Laden Asked Yemeni Terrorists to Attack U.S.
WATCH Bin Laden Asked Yemen Terrorists to Attack U.S. Newly discovered intelligence from the files obtained at Osama bin Laden's Pakistan hideout is providing further evidence that the threat from Al Qaeda in Yemen is a clear and present danger to the United States. Information obtained by ABC News shows that bin Laden had repeatedly urged senior Al Qaeda operatives in Yemen to attack within the United States. 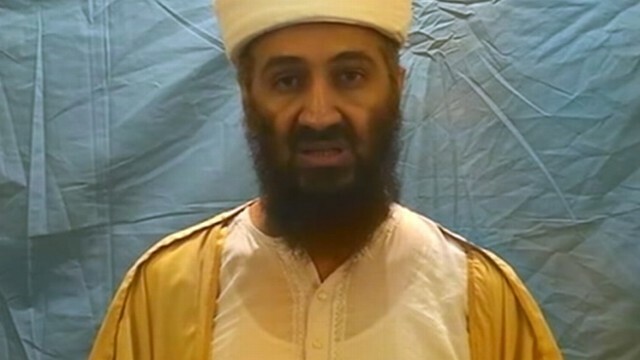 Communications between bin Laden and the Yemeni Al Qaeda leaders were discovered in the trove of information recovered from bin Laden's compound. The Yemen Al Qaeda affiliate is actively planning new plots targeting the U.S., officials with access to the intelligence said. Mike Rogers, the chairman of the House Intelligence Committee, issued a warning to the American public in an exclusive interview with ABC News. "Al Qaeda in the Arabian Peninsula is strictly, or has been strictly focused on attacks in the US homeland," Rogers said. "This morning, when you're over your breakfast cereal there is somebody in Al Qaeda in the Arabian Peninsula planning another attack in the U.S."
Anwar Al Awlaki -- an American cleric who is one of the group's leaders in Yemen -- is pushing the organization to conduct as many attacks aimed at the U.S. as possible in rapid succession, according to sources. According to Rogers, Awlaki has a specific plan. "He is really reaching out to English speakers, to people that hold the right kind of paperwork or passports that can get into the country," Rogers said. Awlaki was reportedly in direct contact with the Fort Hood shooter before the November 2009 massacre, where a single gunman killed 13 people and wounded 29 others at a Texas military base. A little over a month later, Awlaki's Yemeni group sent the "underwear bomber" in an attempt to blow up a plane over Detroit on Christmas day. Ten months later the group tried to blow up U.S. cargo planes with printer bombs. "They are very aggressive, and very innovative about how they try to defeat our counter measures and carryout a successful attack, and that makes them incredibly dangerous," Rogers said. Some U.S. officials worry that the recent unrest in Yemen has given the group even more space to plan attacks against the U.S.
Sources tell ABC News that because the group is so active, the United States is planning to step up missile and drone attacks against the organization. And the concern within the U.S. is strong -- within days of killing Osama Bin Laden, the U.S. tried to kill Awlaki. Osama Bin Laden Urged Yemen Attack on U.S.